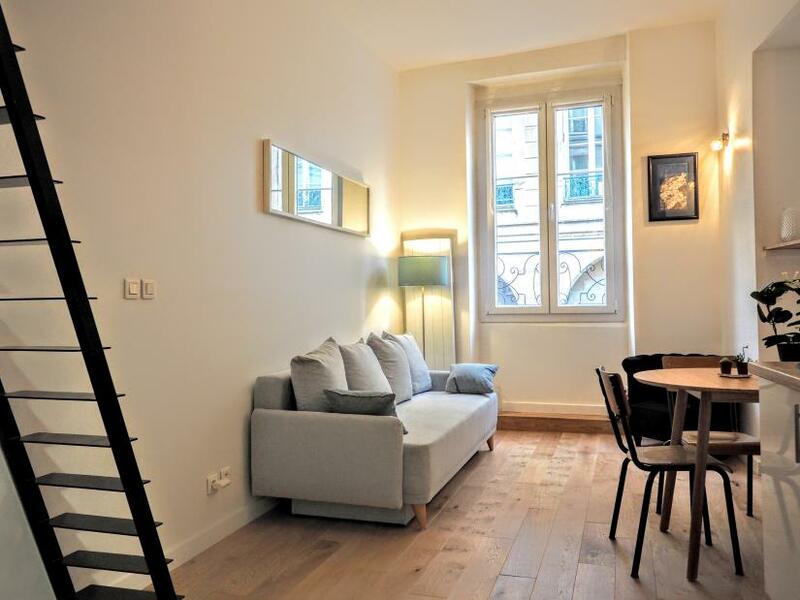 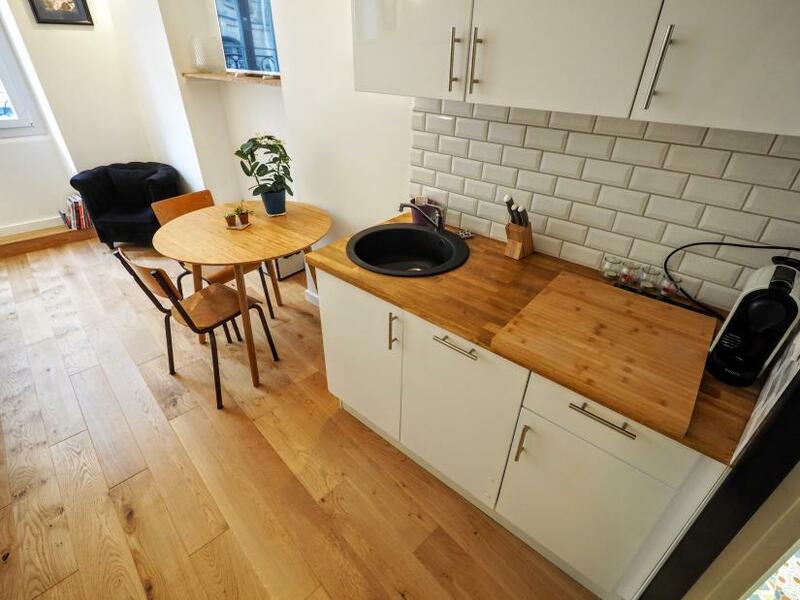 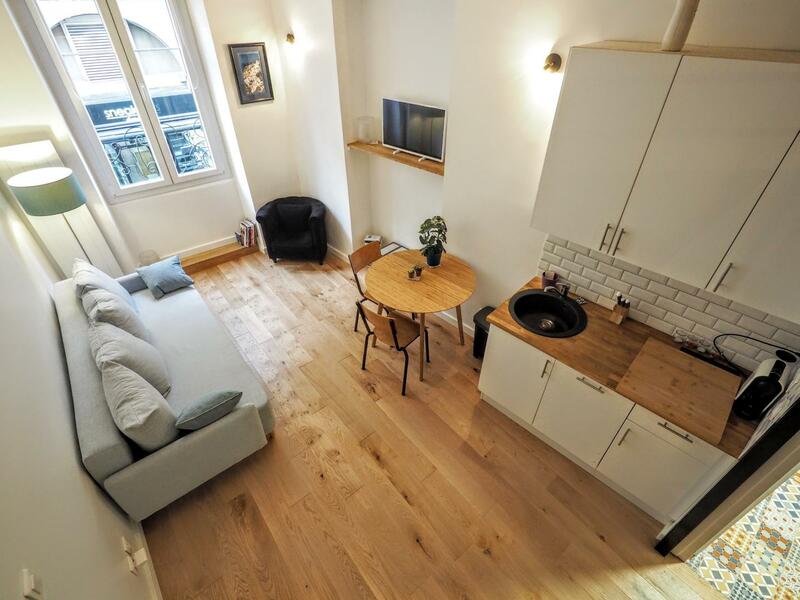 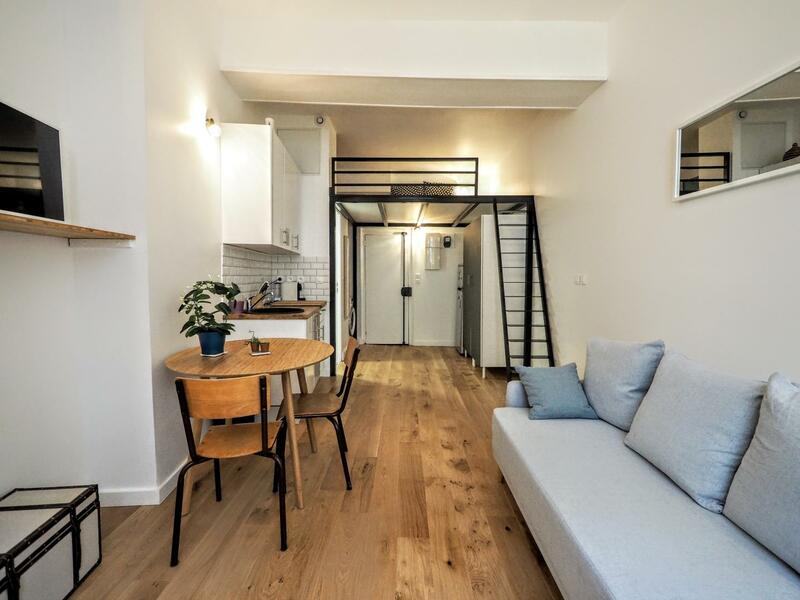 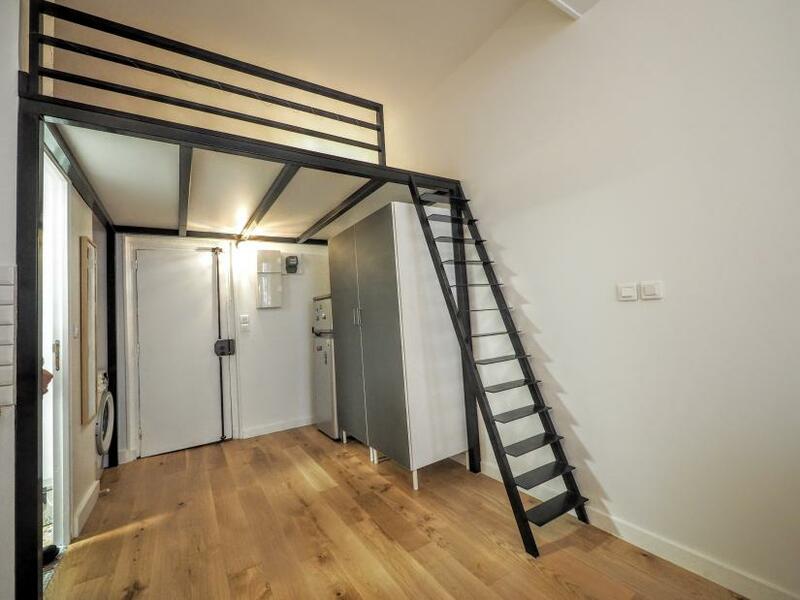 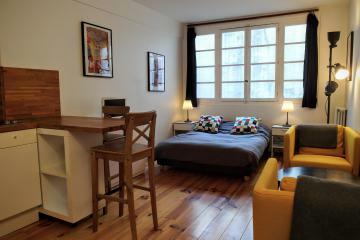 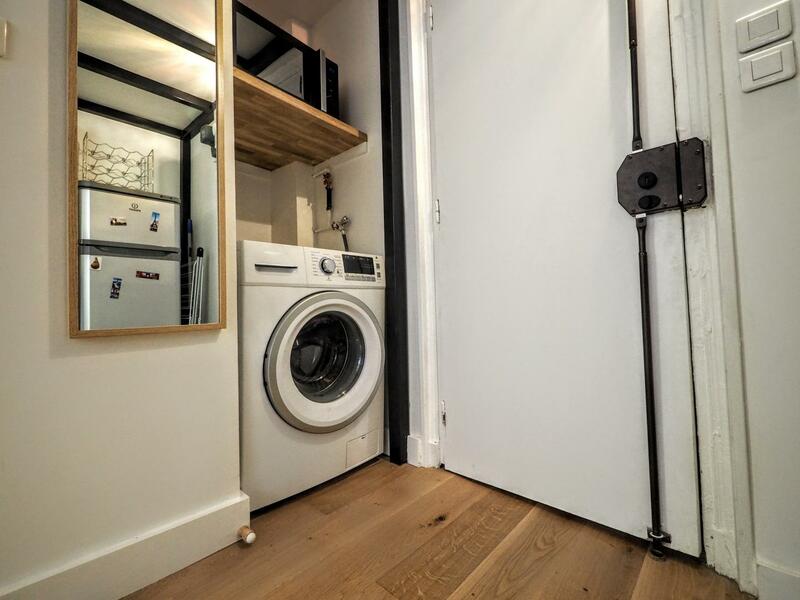 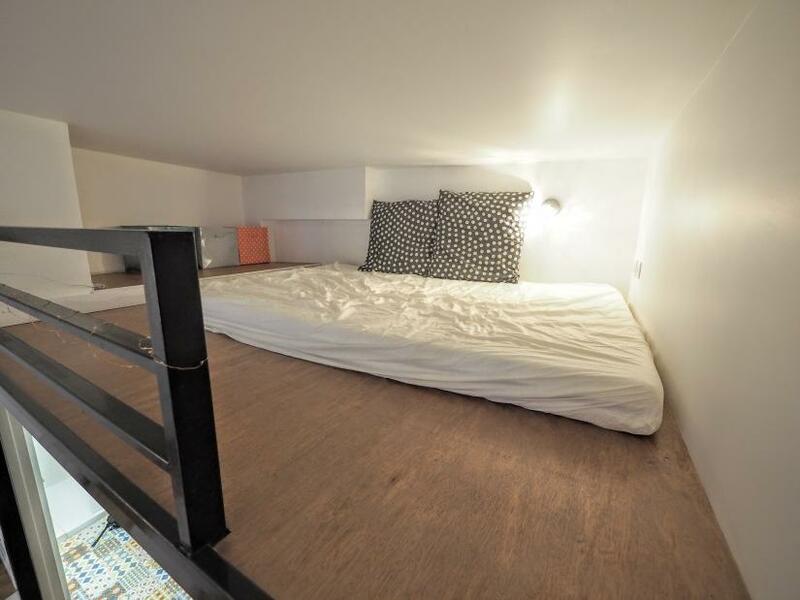 Newly renovated Paris studio apartment rental in Paris offering spacious volumes and a very convenient mezzanine with a double bed. 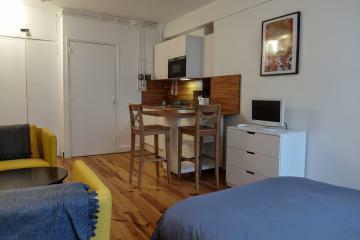 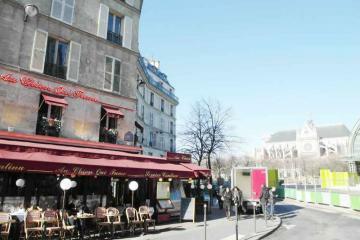 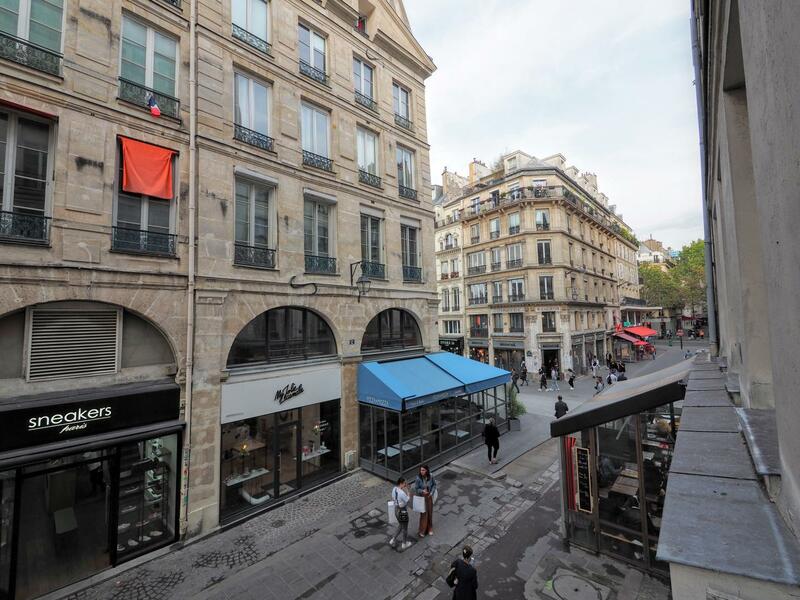 The flat is located in the heart of the magic 1st arrondissement, close to Rivoli street, Louvre and les Halles. 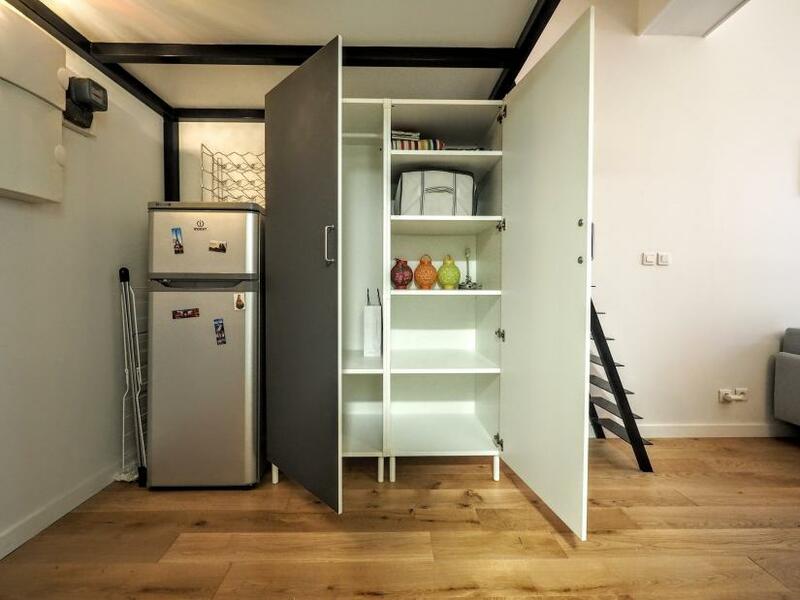 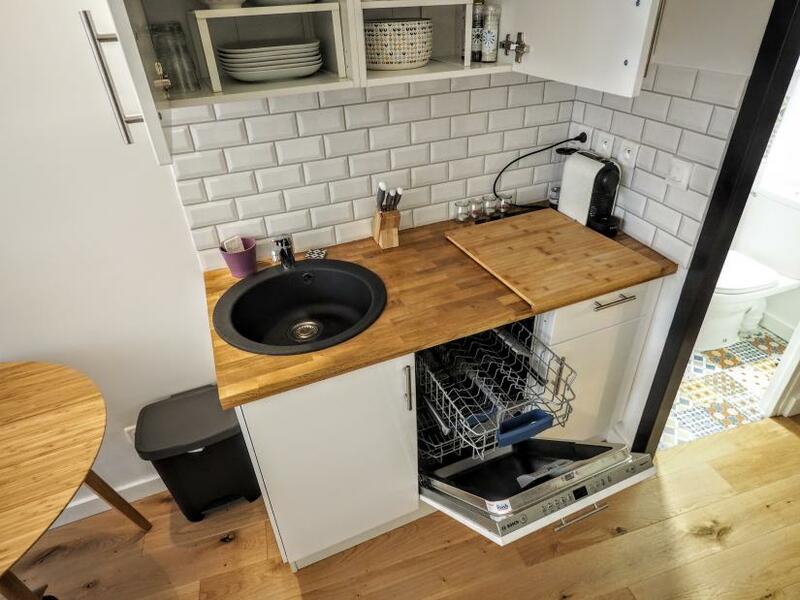 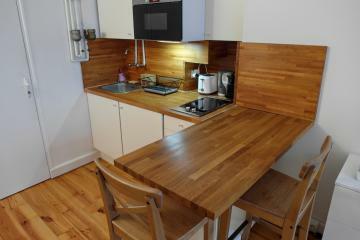 You will fiond everything needed for a long stay rentals in Paris . 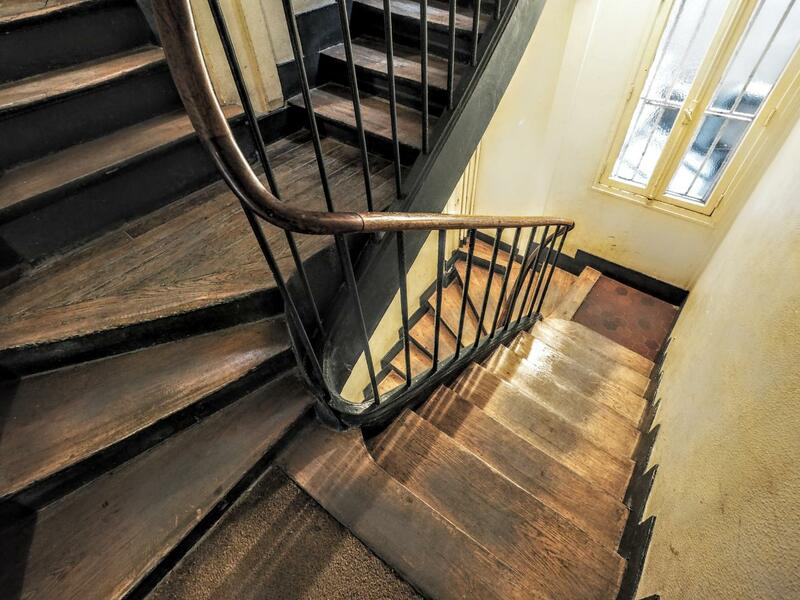 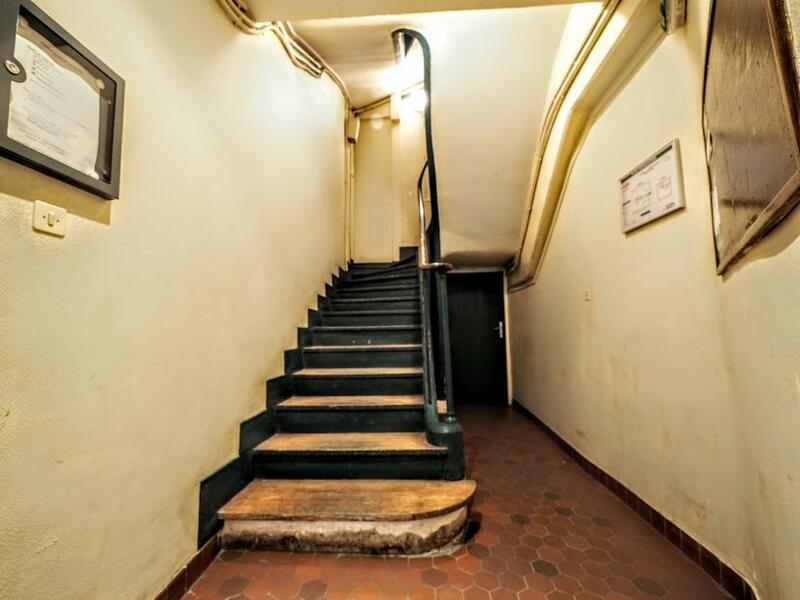 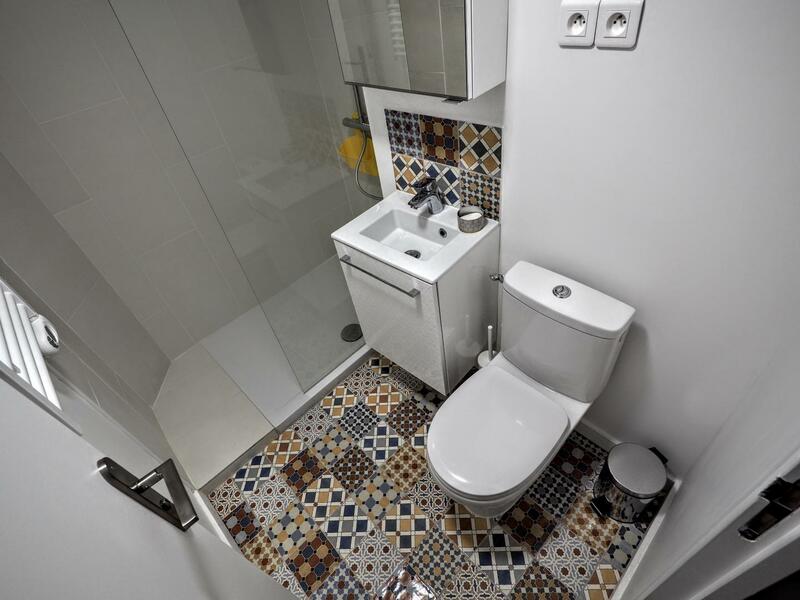 The apartement is situated on the 1st floor with no lift of a historical building. 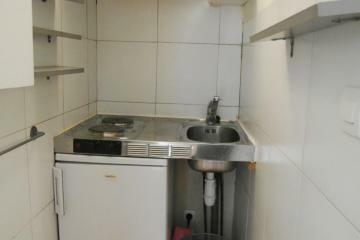 It has been totally renovatedn designed and decrated in a cintemporary spirit. 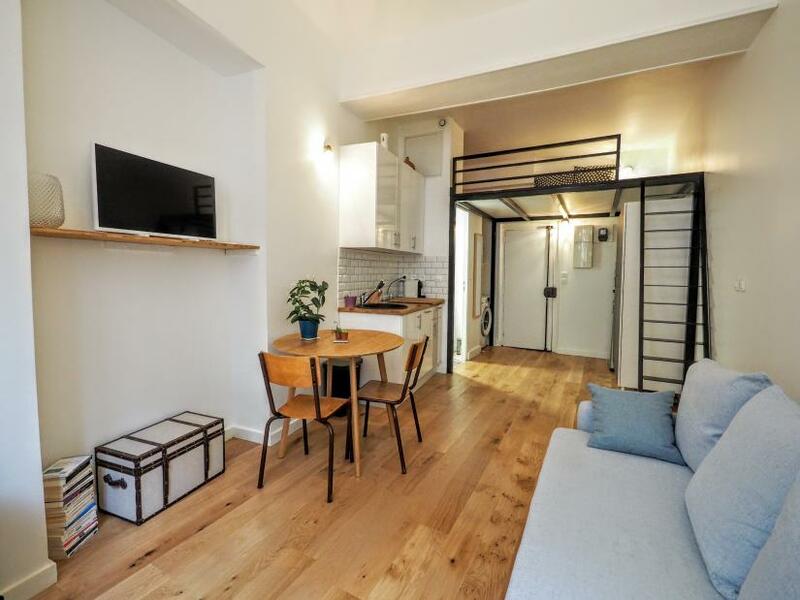 It presents a bright living room with a large double glazing window, a comfortable sofa bed, a dining area, an equipped kitchen corner (diswasher, microwave) and a mezzanine with a secured staircase. 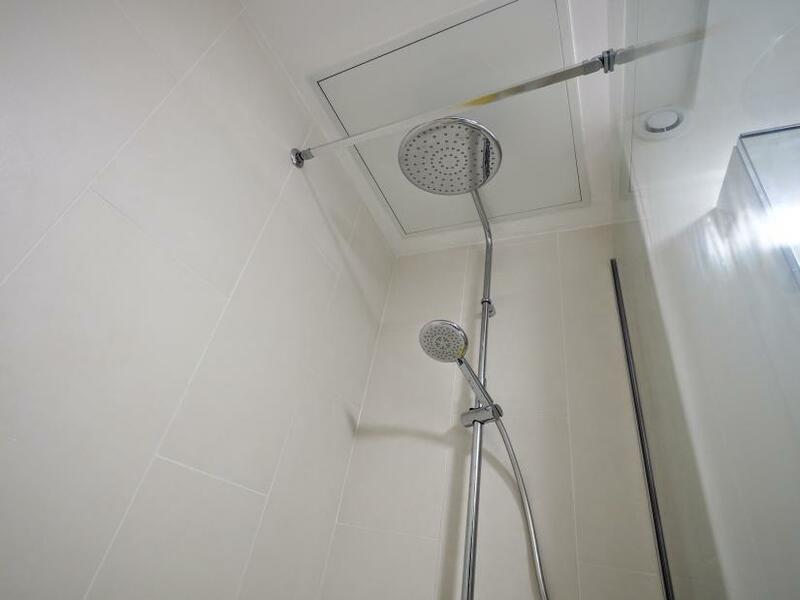 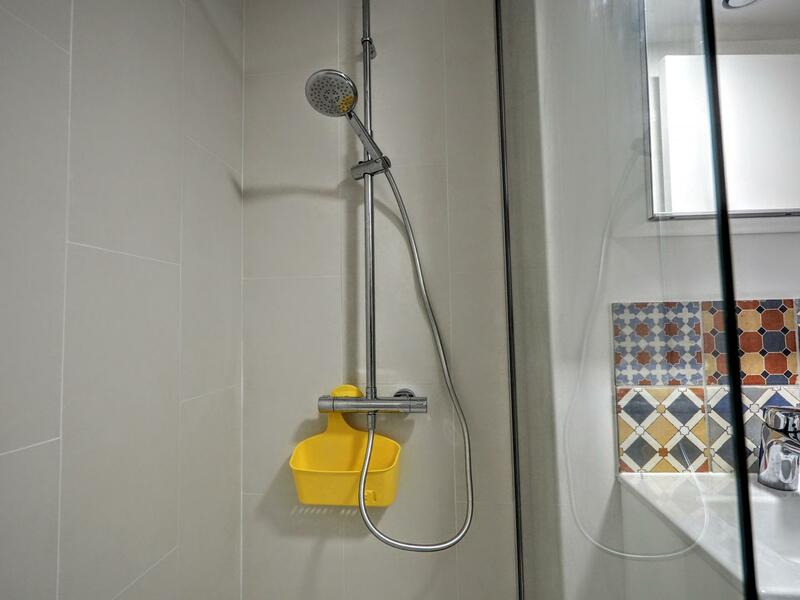 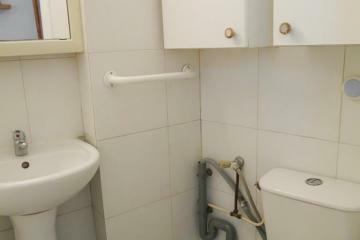 Separate barthroom with an italian shower and toilets. 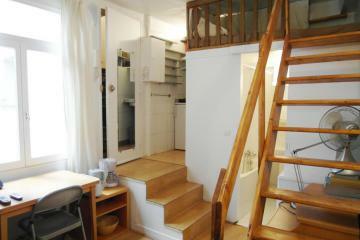 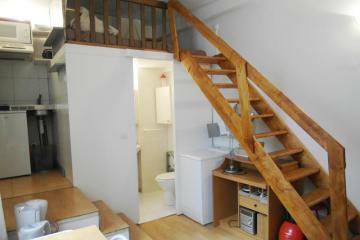 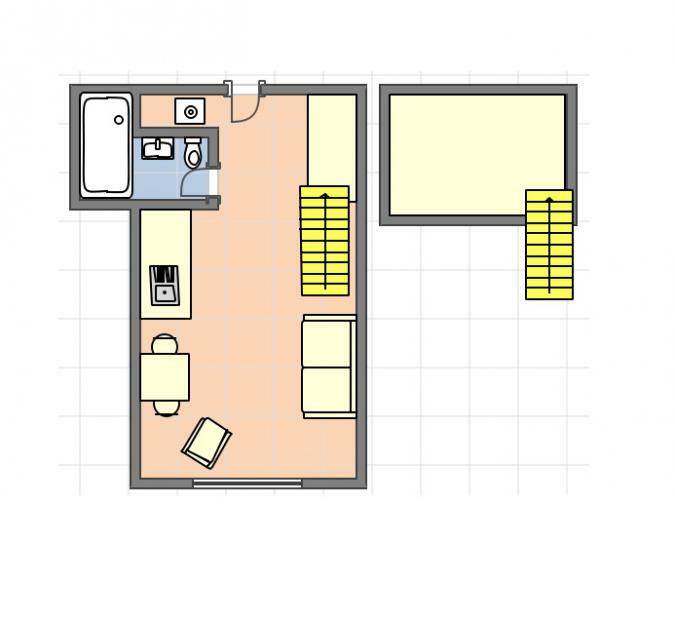 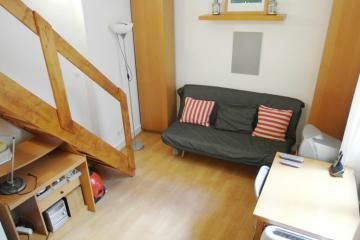 1 st floor, without Lift, Studio Appartement, furnished, Approx: 23m² / 247 Sq.Ft.